One of the pleasures of having a break away from the blog is coming back full of enthusiasm. I miss all of you when I'm not here writing and imagining, in my mind's eye, you, drinking hot tea, breastfeeding the baby, planting seeds, milking cows, collecting eggs, folding laundry, sitting in the sun, walking around in the fresh air, coming home from work to the comfortable seclusion of your home, knitting on the verandah, watching birds and insects, tending your balcony garden, rigging up the downpipes from the roof, baking or returning home from the farmers' market with a packed basket. Yes, it's better when we're all here together. 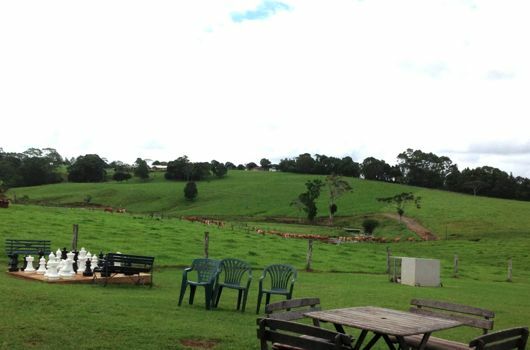 I went to Maleny Dairies during the week to pick up milk for the family. It was late afternoon, I looked over beside me and this is what I saw. The rolling hills and the brown and white Guernsey cows, on the track, making their way up to be milked. My foot is on the mend. It's not quite back to normal yet but the zinc certainly has done a wonderful job in repairing all that damaged skin. I'm still sure I have eczema and when my doctor comes back from his own sick leave, I'm going to ask for a referral to a dermatologist. In the meantime, I'll continue with the zinc, put my foot up when I sit down and generally look after myself. Thanks for sending all your healing thoughts and prayers as well as all your favourite home remedies. They certainly were interesting reading. I believe that certain treatments work on different people. Not everything works on everyone. If you have something that works for you, hold it tight and keep using it. For me, although I've tried Manuka honey and various herbal ointments, my go-tos are emu oil and calendula salve. This time though, they didn't work. This time my saviour was zinc cream. When the nurse applied the zinc impregnated bandage for the first time, I felt it soothe my foot within the first minute. It's wonderful stuff. Jamie showing the chooks his big hands. 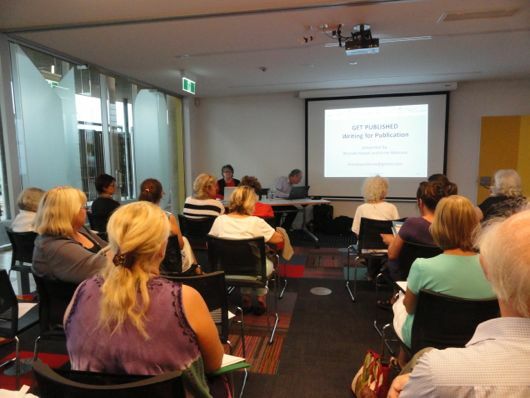 One of our free writing workshops, this one at the Cooroy Library. So what's been happening here? A lot. I'm about to be catapulted into a very busy season again, full of writing and all my home and family activities, as well as workshops with Ernie and some work with the Sunshine Coast Council promoting simple life. I must apologise for not having the milk recipe book out by now. It's finished and I'm trying to find time to get it made up into an ebook and then it will be on sale. If you've signed up for my newsletter, and you can do that on the sidebar near the book photo, you'll be the first to receive the news when it's published. 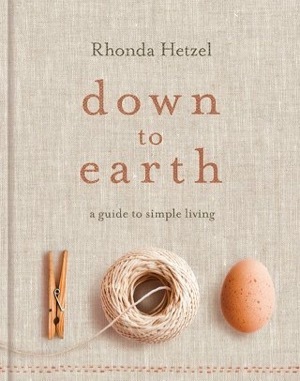 When that's out, I'll work on a new print book proposal, some simple living modules to be presented at the Sunshine Coast libraries in July and August and then I'm starting work on a Down to Earth ebook for North America, Europe and Asia. The 16 free workshops we're doing at the libraries have been successful beyond our dreams. All were booked out, and just meeting all the writers here on the Coast has given me a few ideas about how to support and encourage them through the libraries. But that's another meeting for another time. Sunny and Jamie have been over to visit us quite a lot and we're really enjoying that. Jamie follows Hanno around like a little shadow. So not only do I get to see my gorgeous grandson run around the backyard, I've been having many quiet conversations with Sunny and along with that, the chance to get closer to her. I really do see her as a daughter now. She is such a blessing to us. And it's Jamie's second birthday next Sunday. How did that time go so fast? As usual, Hanno has been working with me to get us through this period of me being out of action. He's done everything in the home, including the cooking for the past couple of weeks. I've either been out workshopping or at home with my foot elevated - either with my laptop on my lap or knitting. Now that I'm back in action, Hanno can get back into the garden and finished his plantings. But more about that tomorrow. Oh what a wonderful surprise, I was missing so much your posts!! It´s wonderful to hear you are fine now and that your foot is healing. Take care of yourself!! I´m waiting for your ebook about milk, because, although I´m working full time now, in the near future I´ll be retired and I want to try many things that now I haven´t enough time!! 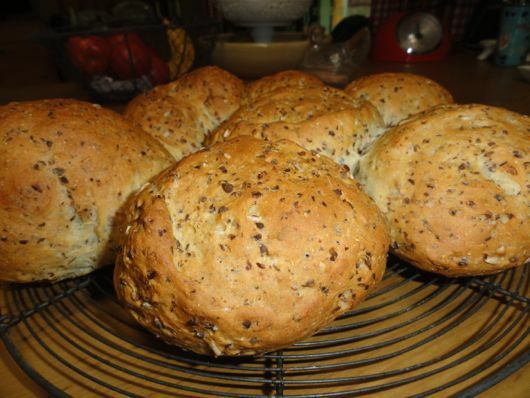 I bake a lot, I make my own bread, cookies, and pastries but.... in the future I see a balcony garden, lots of herbs, more knitting and sewing and lots lots of things.. I love malaney dairies. 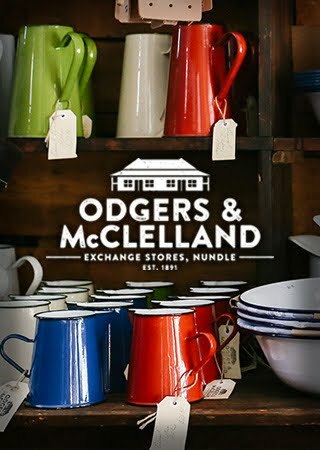 We stopped in when we traveled around Australia and the yoghurt (and cheese) there was divine! Something I remember 5 years later! I'm new to the blog and love what I read, so very much looking forward to reading more! Hello Rhonda and welcome back, so glad to hear your foot is on the mend. I'm 'delurking' after several weeks of reading your archives (up to March 2012, so almost there) and have found your blog compulsive reading. You write such practical and common sense advice, it's so refreshing to read. And yes, I have knitted dishcloths, made some shopping bags, am now baking my own bread, and hubby makes all our meals from scratch. We've made a start. Thanks for the inspiration. Thanks Michelle. I wish you the best with your changes. So glad you're really on the mend now! 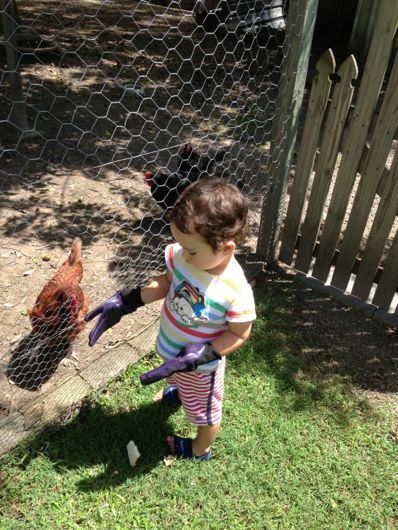 I love the picture of Jamie and the chickens - your yard is looking green and beautiful. Can't wait to hear more about your planting - we're just starting seeds indoors here! Hi Jaime. Lots of photos for you tomorrow. It is so good to have you back! There is nothing like grandchildren and I have a daughter in law who has become like a daughter too, it is such a blessing even though I do have two daughters of my own. Can't wait for your book to be available in the USA. I have tried to get my hands on it without success. I am studying to be a kinesiologist and you are exactly right that different remedies work for different people. I am so blessed to know how to test for that on my family and know exactly what will and will not work based on frequencies in the body. Our healthcare has completely changed because of that. Yes, I agree wholeheartedly. Minerals often seem to be the forgotten healers. So pleased to hear you are feeling better and re-energised. 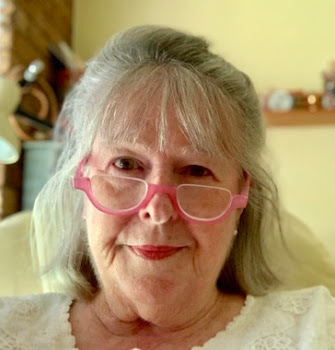 Congratulations on your success with the writing workshops, I couldn't make them due to other commitments but saw the Simple Living workshops later in the year and I have booked for August at Noosa Library. I have started knitting, it has been many years (since I was a young girl) but the needles just took over! I can only go back and forth in plain at the moment, I don't care, I will make lots of cloths or scarves, not sure if I can cast off yet, this may be a very long scarf. I'm so glad you're back! I'm so happy you're healing, you have a wonderful husband there! Thanks Leonie. Come and introduce yourself in August. I love meeting people I know through the blog. I'm knitting an all plain shawl at the moment. I really like the look of garter stitch. If you do't remember cast off, there are plenty of You tube videos showing it. Keep an eye on fishpond USA. I bought mine through them. The book was priced very well. 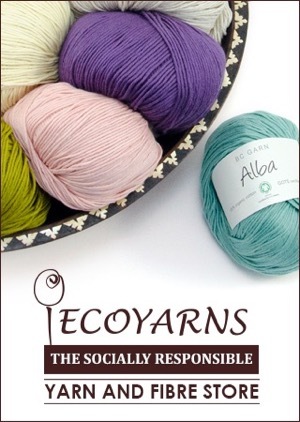 If you keep an eye on it, they frequently offer free shipping as well. That was a MUCH better deal than what I'd originally seen on amazon. Very pleased to hear your foot is on the mend, Rhonda. Fancy Jamie being TWO already? Where did that time go, lol? Deb, we've only thought about the Sunshine Coast and Brisbane so far. I guess it would depend on how many people are interested on the GC. I am glad to hear your foot is on the mend! I do hope you'll get the referral and it will heal completely. Hi Rhonda, do think about a workshop in Toowoomba too! I am sure it would be packed like your last visit to our library. I am so pleased the zinc is working on the eczema. Obviously it is a bit of trial and error to find what works for each individual. You will be pleased when you don't have to elevate your foot any more and can get back to normal life again. Chelle, all the future workshops will be paid ones. The free ones here will end this week. Travelling to other areas costs quite a bit and each trip takes us a day, so we have to charge. Rhonda, I don't think anyone would have an issue with paying for the workshops as we all realise you have to travel for a few hours and perhaps stay overnight if you make the trip to Toowoomba. 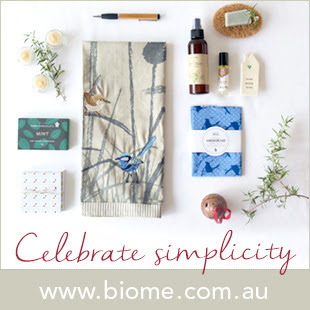 It would really be great if you could fit a workshop in this year as our Simple Living Group is growing and there would be a lot of interest in your workshops.Of course, your health and family come first. So glad your foot is healing and so great to have you back, really enjoyed going over the old postings, and it lead me to others i hadnt read, brilliant i have learnt so much from you to equip me in this new simple life, i cant thank you enough. Ann, all workshops require bookings and they're all booked out. Come down though, I'll get you in. We probably just need an extra chair. In your long list of where you imagine us reading you forgot to mention sitting at your work desk, stuffing food in our mouths at lunchtime, answering phones and people walking in interupting and trying to feel anything like the zen that you are imagining. LOL One Day !!! LOL, I was trying to keep that one for a special occasion, Lynda. I'm really pleased to hear you are mending well! Stay healthy and be wise about your activity levels. You're a blessing to us! Rhonda, glad to hear you are improving. I have had a recent skin condition that was particularly painful and I was reccomended to use anti dandruff shampoo - mine is the Palmolive natural one you can get at iga. It was a miracle. I have heard that it can do the same with leg conditions so may be worth a try. Other treatments soothed but didn't eliminate the issue. I've just returned from a bit of a blog hiatus as well and discovered that you were unwell with a troublesome foot. It's great to know that it's healing and you're life is now getting back to normal. I am very envious of your green landscape! It is still very dry (and very brown) here whilst we await the autumn rains. Yesterday would have been nice but you just cant rush Mother Nature. So glad that you are recovering Rhonda and how lucky you are that Hanno took such good care of you! I reckon zinc is awesome too. Of all the gazillion vitamin and mineral supplements in the world, zinc is the only one I take. I can just about watch it heal before my eyes! and therefore it can't make it into our vegies and fruit. Maybe a "dirt scientist" out there can confirm that? Happy to hear your foot is on the mend. I remember using zinc ointment for baby's diaper rash many years ago! So glad you are feeling better, Rhonda. I did enjoy the trip down "memory lane" though, reading your recycled posts! Thanks for the inspiration you share with us! Thoughts and prayers have been sent your way. Glad to hear you're on the mend! I loved the picture of the cows traipsing along to get milked.The picture of Jaime and the chooks is adorable. It looks so beautiful and green there- even though spring is officially here we are still getting snow again today in the mountains of Pennsylvania. Last year at this time we were planting our garden. Welcome back Rhonda, I've really missed your daily dose of common sense. And well done Hanno for looking after you so well, he's a treasure. So glad you are "back!" Your blog is a huge blessing! Hi Rhonda! I'm so happy you're feeling better now. 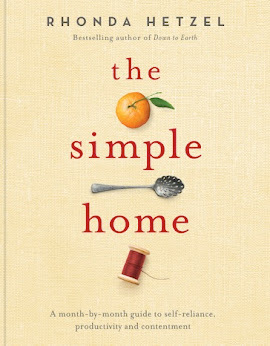 I wanted to tell you that I'm reading Simple Living by Frank Levering and Wanda Urbanska ~ I'm almost done and I'm LOVING the book. Their Virginia farm is right near my hometown so I recognize a lot of the places, etc. I SO agree with most of what they have to say. I GOOGLED Frank & Wanda to see what they're doing now and I was sad to read that they ended up divorced. Oh well, still loving the book ~ will likely finish it tonight. Thanks so much for the recommendation! Oh, Rhonda, I'm so sorry your eczema is bothering you. I have psoriasis, so I endure the painful itching rashes, too. Haven't tried zinc yet, but I do get quite a bit of relief from daily warm soaks in water heavily impregnated with Epsom salts. Have you tried that? Coconut oil also seems to relieve my itching, too. Best.